Providing on-site emergency Event First Aid Medical Services, First Aid Training and First Aid Kits (supplies and auditing services) to all types of events and organisations across Melbourne, Sydney, Brisbane, Adelaide, Canberra, Hobart and Perth. When organising or hosting an event: sporting clubs, schools, event organisers and event management companies have a duty of care to the participants and spectators to have appropriately qualified First Aid Officers in attendance to provide emergency event first aid services. In addition to the duty of care, it is increasingly becoming a condition of most insurers that appropriately qualified First Aid Medics be on-hand at an event to guarantee insurance cover. Our First Aid Staff include Red Cross and St John Ambulance trained First Aid Responders, Sports Trainers, Lifeguards, Physiotherapists, Advanced First Aid Responders, Paramedics, Registered Nurses and Medical Doctors. We have the right Medic to suit your event, whether it is a School Sports Carnival, Corporate Christmas party or function, a fashion show, an Equestrian Two Day Event or a dance and music festival. 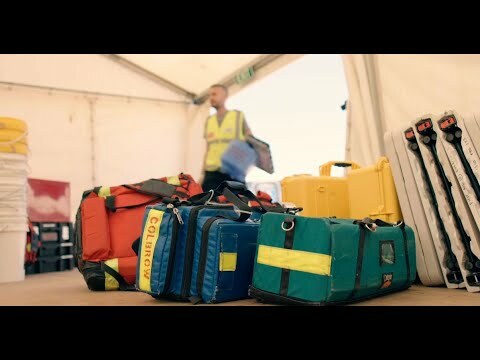 Hire our Event First Aid Paramedic Support is available at short notice and we arrive at your event in full uniform, comprehensively insured and fully equipped to meet your first aid requirements. Whether your event is in metropolitan Melbourne, Regional Victoria, Hobart, Tasmania; Sydney, New South Wales; Brisbane, Queensland; or Adelaide, South Australia; Canberra or Perth, First Aid at Events can deploy Event First Aid and Event Paramedics immediately and as required. 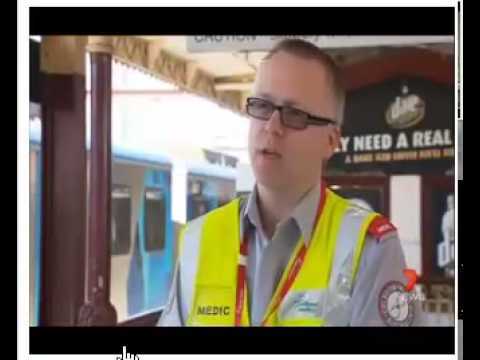 Providing the First Aid and Medical Response at Melbourne's inner city train stations. Providing Event Medical Services at Music Festivals throughout Australia.